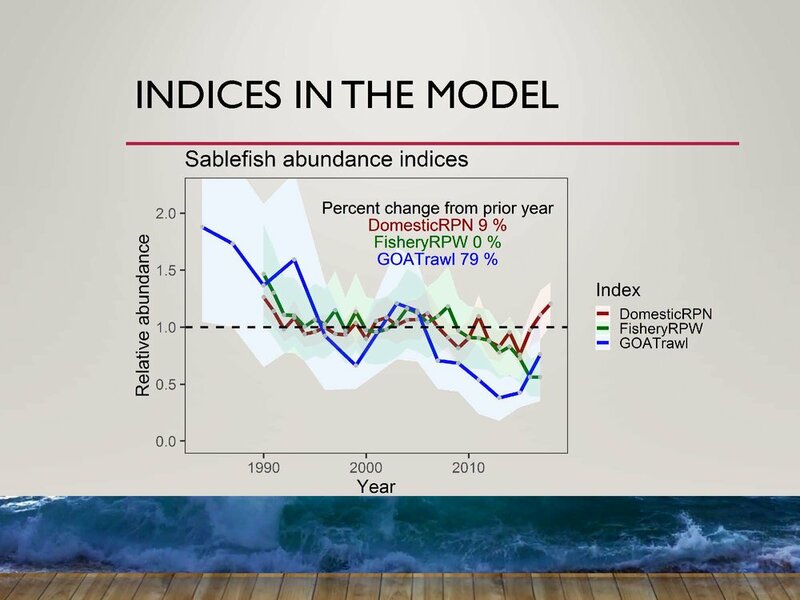 The Groundfish Plan Team met yesterday to review the status of Sablefish abundance. 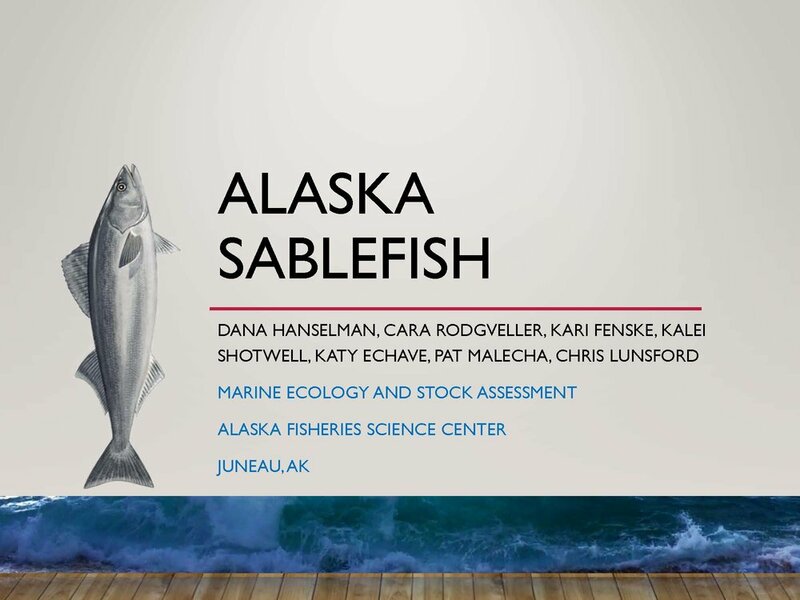 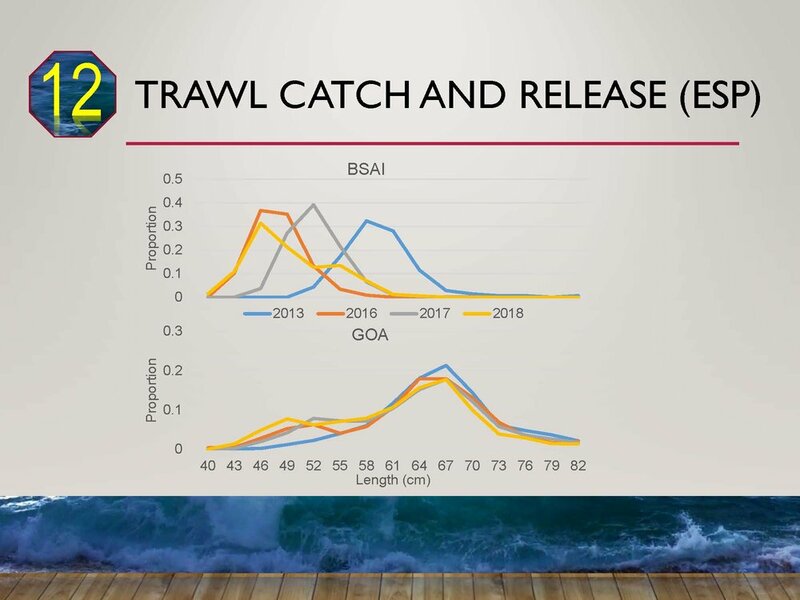 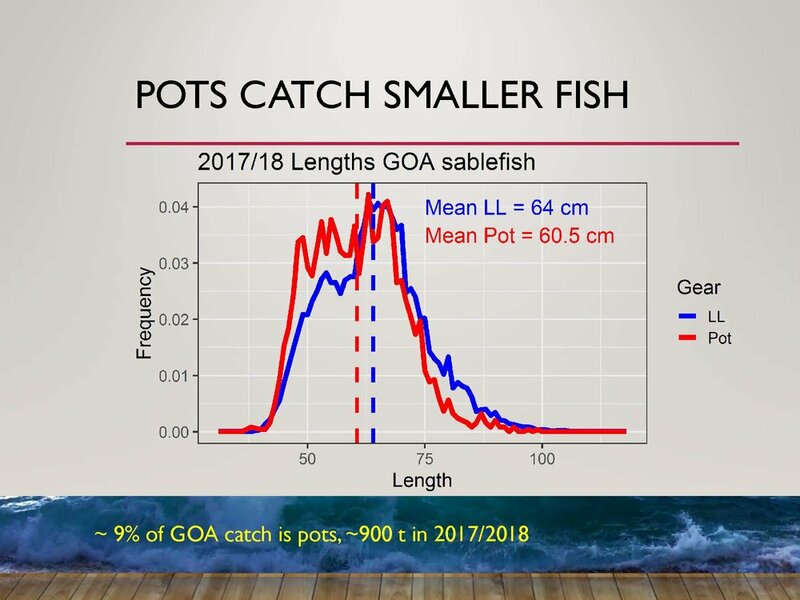 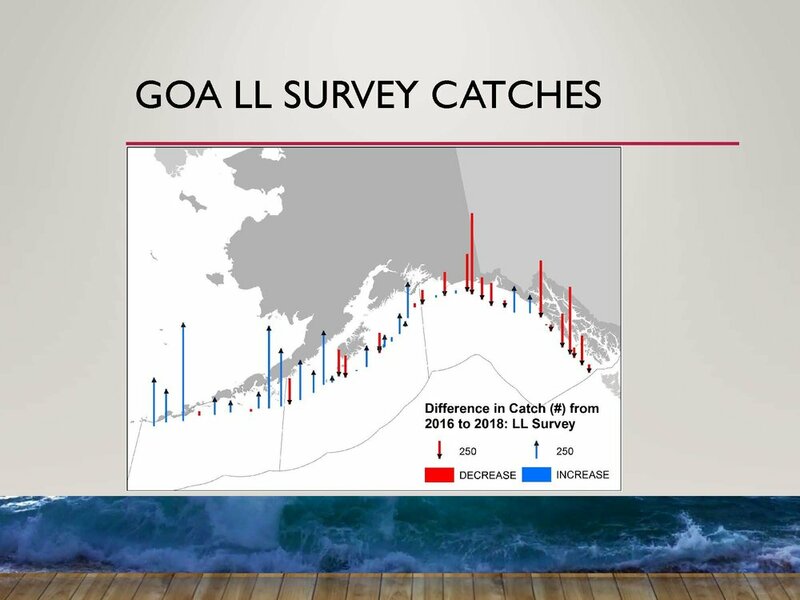 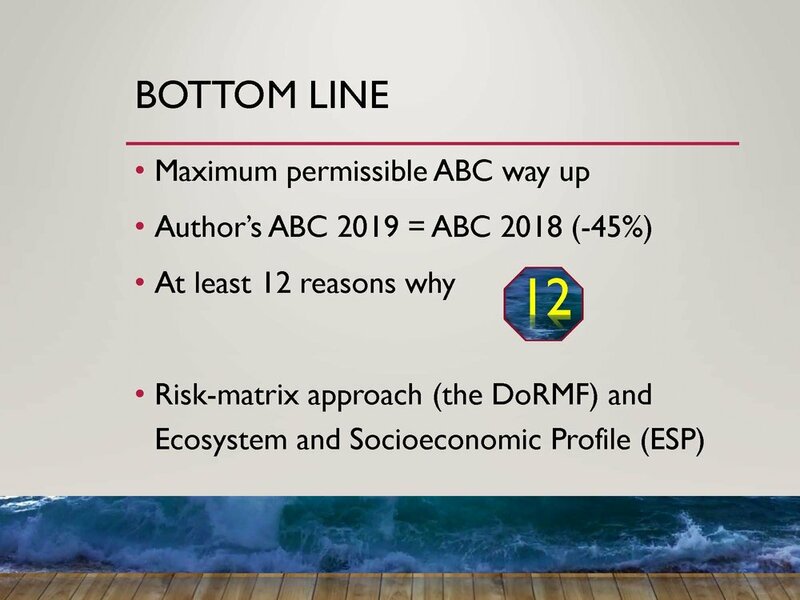 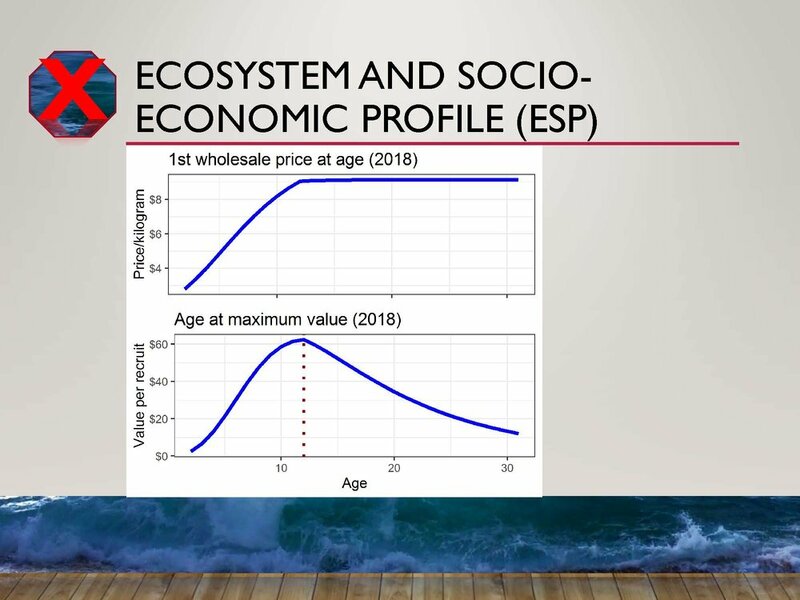 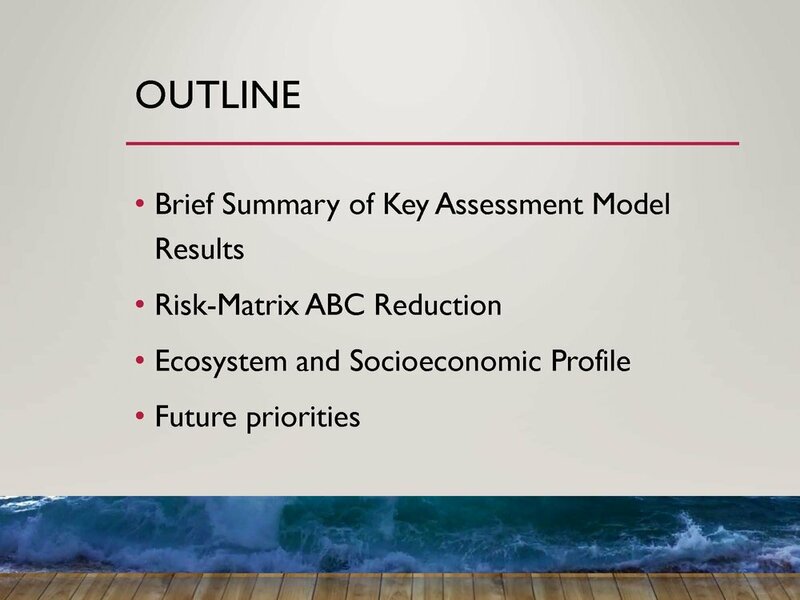 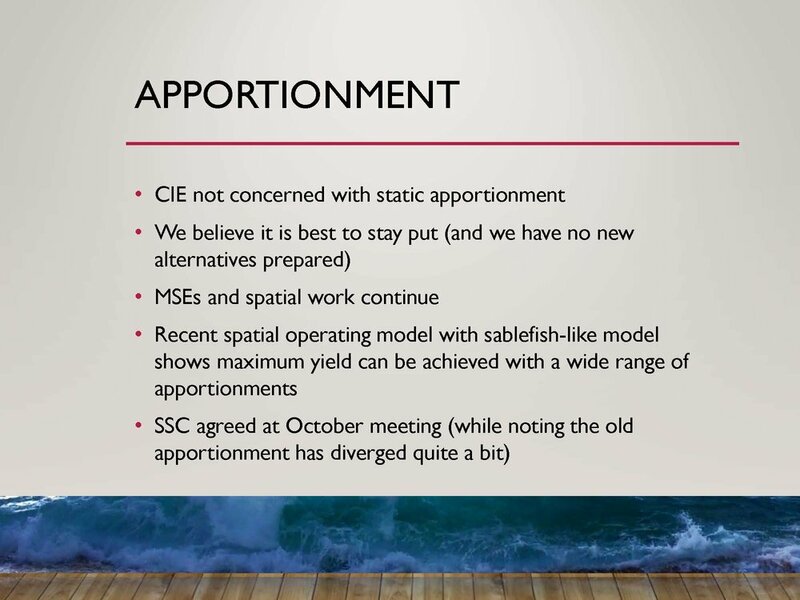 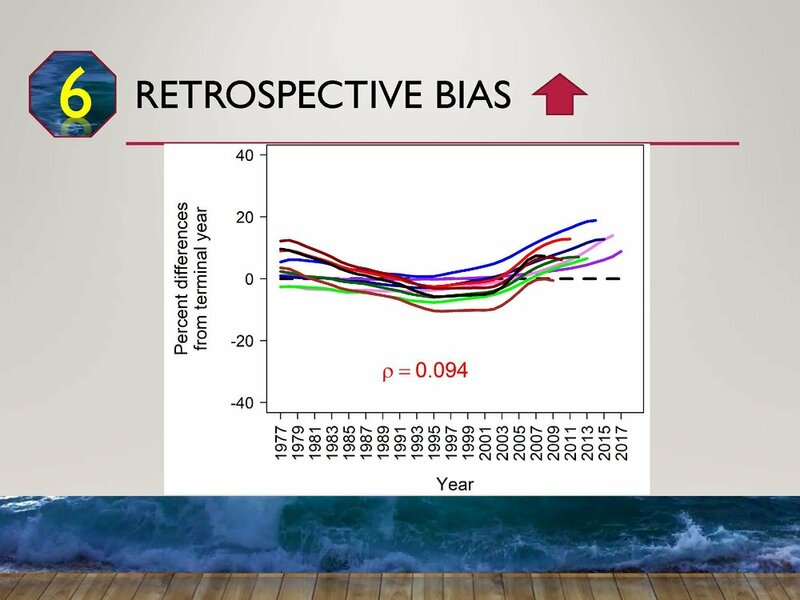 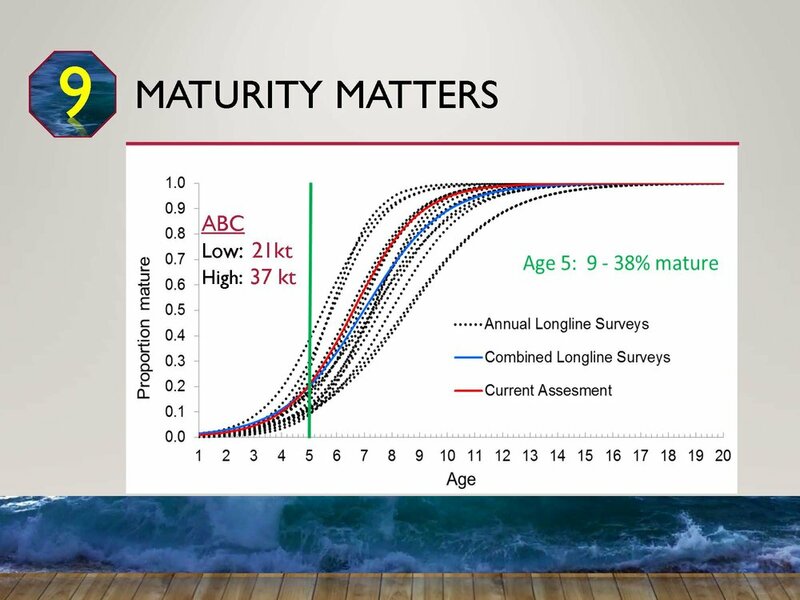 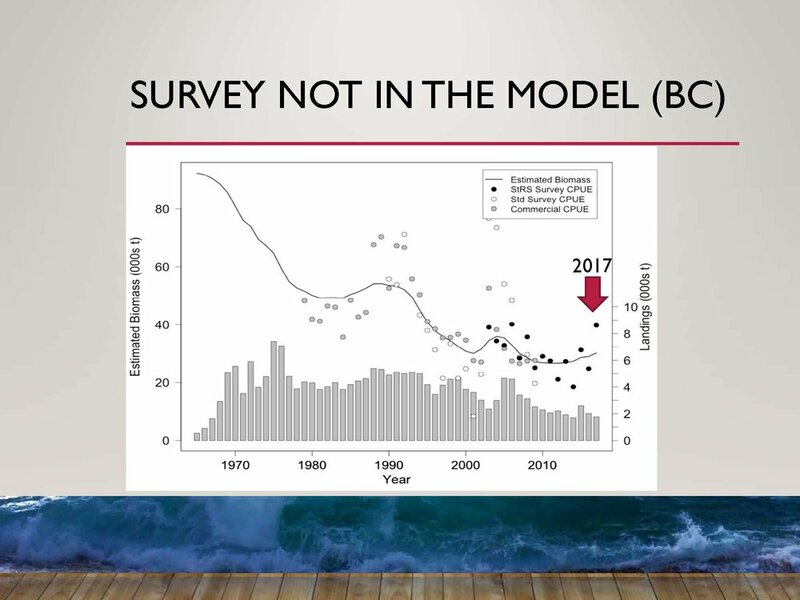 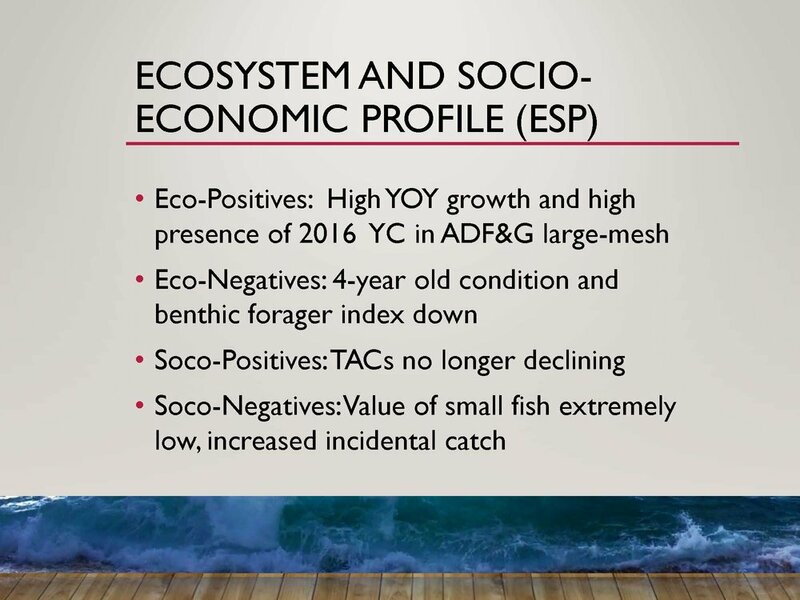 It was decided to propose to the North Pacific Fishery Management Council that the 2019 Allowable Biological Catch (ABC) for 2019 be at the status quo 2018 levels - no change. 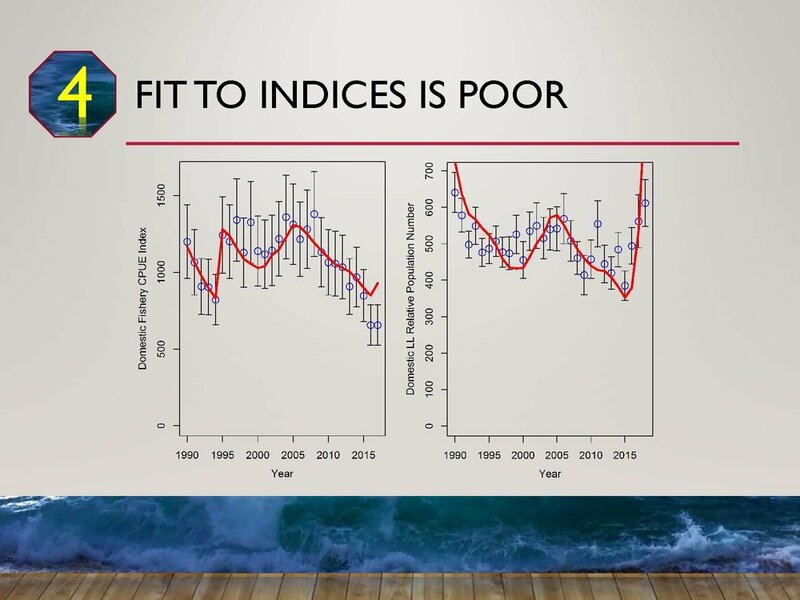 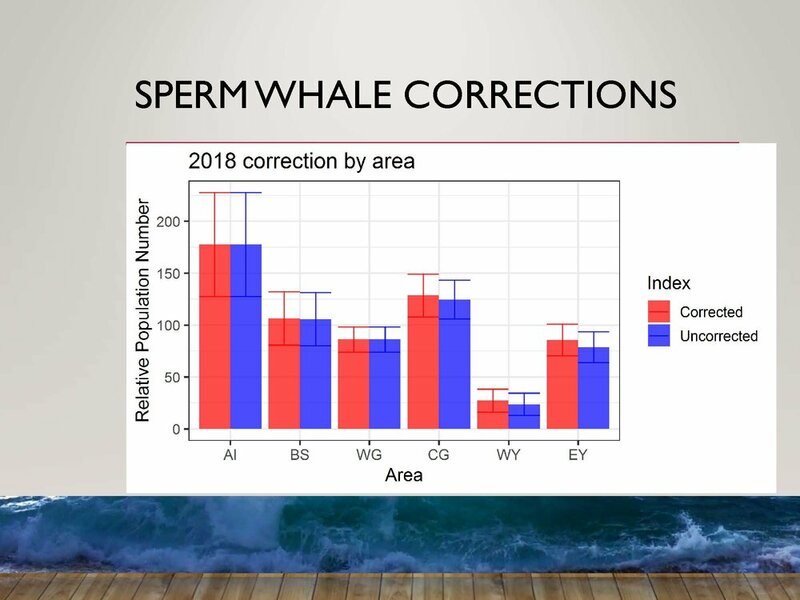 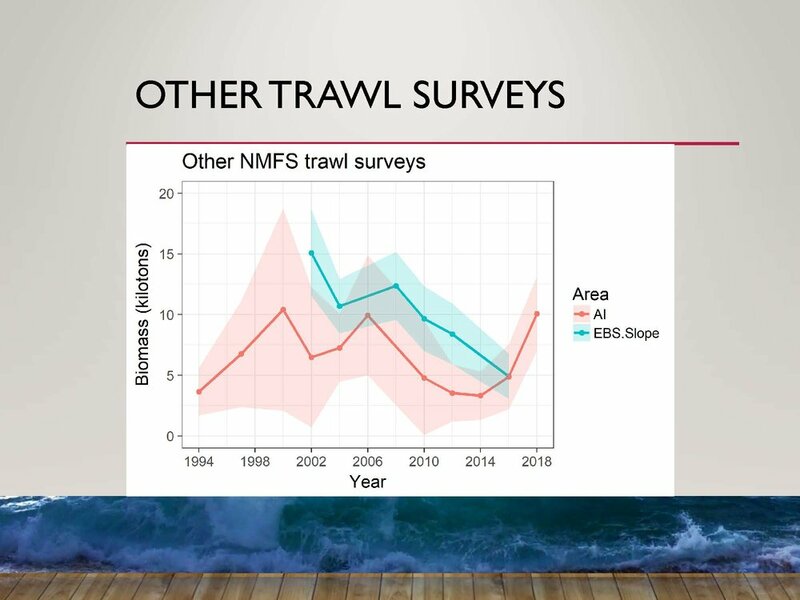 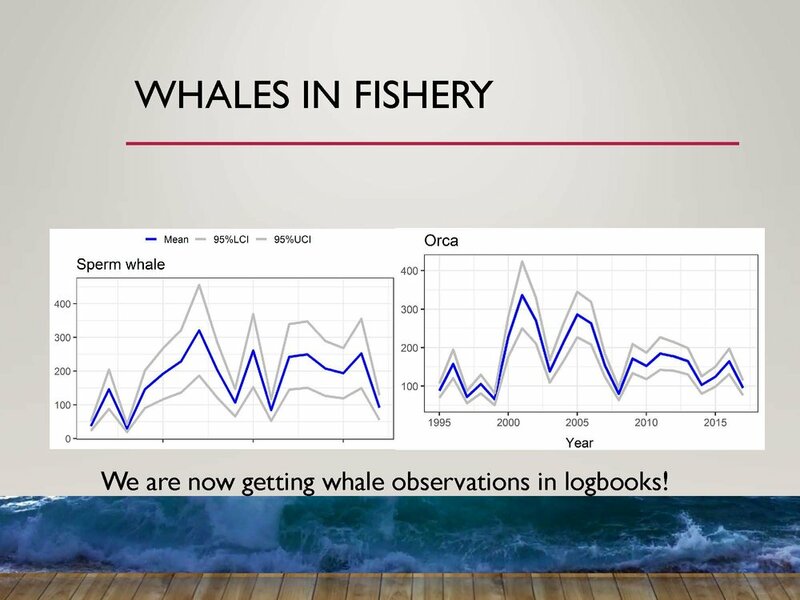 Please check out these informative slides produced by National Marine Fishery Scientist as background and support for the recommendation.